Have you thought about fixing your teeth so you can have a million-dollar smile? 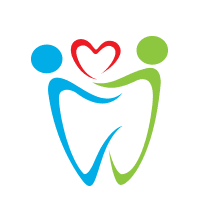 If so, Juan Figueroa, DDS, at Dental Care of Deerfield Beach in Florida, can help beautify your smile by providing you with Invisalign®, an aesthetically pleasing and invisible alternative to metal braces. To see if you’re a good candidate for Invisalign, call the office today or book your appointment online. Invisalign are invisible aligners providing an aesthetically appealing alternative to metal braces. Patients enjoy the ability to smile more confidently in public without having brackets, rubber bands, or wires in their mouth. Dr. Figueroa also offers another invisible alternative to metal braces called ClearCorrect®. 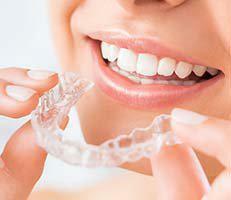 These aligners are similar to Invisalign and also provide you with excellent results. Because Invisalign and ClearCorrect are limited in the issues they can correct, it’s important to schedule a consultation with Dr. Figueroa to determine if they’re right for you. How does the Invisalign or ClearCorrect process work? The first step in making your custom-made aligners is to create 3D images of your teeth using the state-of-the-art iTero scanner. Dr. Figueroa uses this scanner because it has an Invisalign outcome simulator so you can see your new smile prior to even starting. In addition, patients find it more comfortable than traditional impressions done with a putty material that can cause potential gagging. Once your Invisalign or ClearCorrect trays are made, you’ll come back to Dental Care of Deerfield Beach to pick up all the trays you’ll need for your treatment, which tends to be between 20-30 trays. Generally, you’ll wear one set of trays every one to two weeks and then continue onto the next set. Dr. Figueroa cannot stress enough that you must wear your trays between 20-22 hours every day to achieve optimal results. While the length of treatment varies for everyone, the entire process usually lasts between 12-18 months. What’s the difference between metal braces and Invisalign or ClearCorrect? While Invisalign, ClearCorrect, and metal braces all provide you with the same result of a picture-perfect smile, there are some differences to note. Invisalign and ClearCorrect are made for comfort so wearing these trays don’t irritate your gums or make your lips bleed from a broken wire. These aligners are also removable so you won’t have food restrictions like you would with metal braces. To straighten your teeth using Invisalign, an invisible and aesthetically pleasing alternative to metal braces, call Dental Care of Deerfield Beach today or schedule your appointment online.